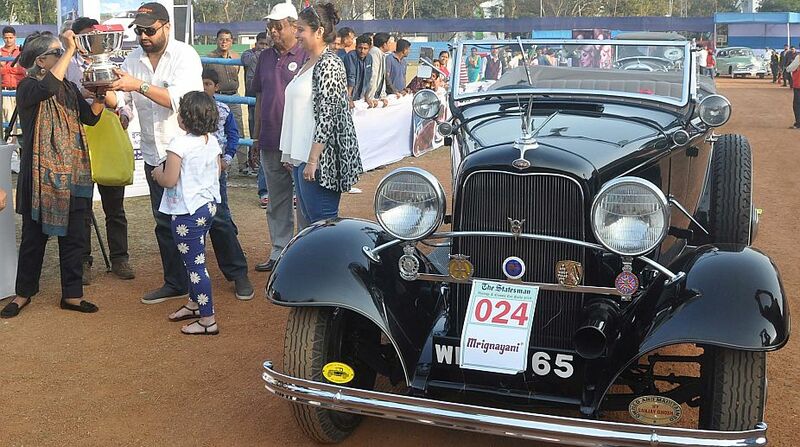 The 49 edition of the Statesman Vintage Car Rally took place on Sunday involving 203 cars and two wheelers. The 49th edition of the rally that was organised on Sunday saw vehicles participating which once were a prominent sight on the roads of the then Calcutta. The vintage models, including four and two wheelers gathered in the Eastern Command Sports Stadium, Fort William by 8:30 am. The owners along with other family members of the vintage models wore costumes which were in fashion in the 1990s to complement the mood of the event. The rally was flagged off at 10:35 am after a grand parade followed by a wiggle-woggle test. Starting from a 1906 Renault Freres to a 1972 Morris Marina, all of the models exhibited a classic grandeur and rekindled memories. Some of the models featured gas lights which were a prominent sight on the city roads in the 1990s. As the cars, motorbikes and scooters drove past the city roads, it drew attention of gawkers who queued up on both sides of the roads, especially in North Kolkata to have a glimpse of the beauties driving past. The owners of the vehicles waved to the bystanders who in turn welcomed them with applause and at times took the role of traffic police to clear the way for the vintage beauties, ensuring they drive past smoothly without any hindrance posed by normal traffic. Some of the vintage vehicles that were seen garnering a lot of attention were a red 1934 Austin of Mr C.R Addy, a green 1929 Ford-A driven by Mr Gautam Sureka, a black Skoda Berlina driven by Mr Rishab Gupta, a 1922 Austin driven by Mr Ajoy Basu, a 1934 Austin Ten driven by Mr Gadai Chand Dey and a 1961 white MG-Midget driven by Debashish Chaudhuri. Along with the four wheelers, the motorbikes and scooters such as – a 1941 Matchless driven by Md. Nooruddin, a 1956 Lambretta LD 150 by Lt Colonel Nitin Shrestha and 1938 B.S.A Sidecak by Aftab Khan drew a lot of curiosity from the crowd. A 1928 Studebaker car, however, faced an issue and was stuck at Shakespeare Sarani for a while. 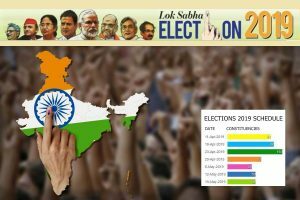 Ravindra Kumar, EditorIn-Chief, The Statesman, in his concluding speech said “The rally is going to take a bigger form next year as it will be the golden jubilee, celebrating the 50th year of this prestigious event. The awards were distributed by Mrs Antara Kumar. The Statesman Trophy for best overall performance of the day for Classic cars (maintenance and road section) went to the 1961 MG-Midget owned by Samir Chaudhuri while The Statesman Trophy for best overall performance of the day (maintenance and road section) went to 1932 Ford V-8 owned by Mr Sanjay Ghosh. The C.R Irani Trophy for runner-up for the best restored classic car went to 1947 Chevrolet owned by Pallab Roy.